There isn’t nearly as much immediate impact in baseball drafting as there is in football drafting. When you watch the football commissioner announce the first round picks at Radio City Music Hall, you can hear thousands of people howling in celebration or booing in disgust. The reason why is that the players picked are going to begin contributing immediately. The expectation is that JaMarcus Russell will be under center and changing the fortunes of the Raiders some time this season. Calvin Johnson is already studying routes in the Motor City. Fans cheer and cheer loud because these folks are already in pads. It’s like going to the car dealership and watching your buddy drop a hundred large on a Porsche and drive out in it immediately. Conversely, the MLB draft will be like going to the bank and watching your grandpa buy savings bonds. There’s no immediate dividends, and there are none expected. Let’s just give you some stats to crunch on to prove this point. 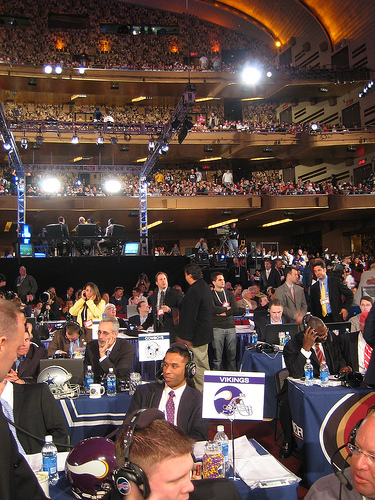 Of the top ten players drafted in the 2006 football draft, all ten saw the pro field. Vince Young (#3 selection) and Matt Leinart (#10) are throwing bombs as the starting quarterbacks on their teams. D’Brickashaw Ferguson (#4) is anchoring the Jets o-line. A.J. Hawk (#5) is rapidly becomming a monster in Green Bay. Even Vernon Davis (#6), who fractured his fibula, got three TDs on the year for the Niners. Of the top ten drafted in ’06 baseball draft, two have donned pro uniforms and played. Tim Lincecum (#10) has started two games this season for the San Francisco Giants due to man-mountain Russ Ortiz getting hurt. And Brandon Morrow (#5) has pitched (well, in fact) for the Mariners in relief. There isn’t going to be that visceral “Oh man, my buddy just drove out of here in a Boxter!” reaction to your team’s pick, because odds are your team isn’t going to start reaping the benefits for another few years. Where’s the fun in rooting for a savings bond? There is minimal player knowledge in the baseball draft, compared to the football draft. College football pulls over a million people into the stadiums of this great land every Saturday, and draws millions more watching from their couches and barbeques. Couple that with the exhaustive television and radio analysis and the average pro football fan will know a fair amount about most of the first round players, the players from their favorite school, and a few of the premiere players in their conference. I was pleased about the Patriots picking up Brandon Meriweather (gun issues aside) because I saw him play. I’m glad the Giants got Aaron Ross because I watched the coverage of the ’06 Alamo Bowl, where he won the game MVP. In 2006, the Yankees acquired pitcher Ian Kennedy in the first round. Is that good? I have no idea. 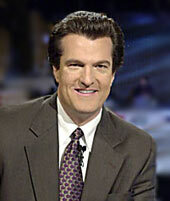 According to Wikipedia, he played at USC and weighs 195 pounds. Aside from that, I have no knowledge about him. There isn’t the volume of information available to the average baseball fan. You don’t see the daily highlights. You don’t have Lee Corso yipping excitedly about it. On draft day, you’re going to get a name, a college, and a position. Any knowledge you have about that player is probably more than anyone else does except their parents. Being in the dark doesn’t breed much excitement. It is very difficult to predict where the successful players are going to come from. At least compared to football. So unless you plan on following all fifty rounds of the draft, you’re not going to be able to sit with your kids years later and say “I remember the moment that so-and-so was picked.” Most of the impact players in football come from that first day (the first two or three rounds). In baseball, they’re from all over the place. Let’s look at the Red Sox – Jason Varitek, Manny Ramirez and J.D. Drew were first rounders. But Mike “Down With Castro” Lowell was picked up in the 20th. Julio Lugo was picked up in the 43rd. David Ortiz was signed as an amateur free agent (as the draft is only open to residents of the U.S, Canada or a U.S. territory). Because there are so many variables and so many years between your average baseball player’s draft day and their major league debut, it seems as if draft position is much less of a barometer of future success. 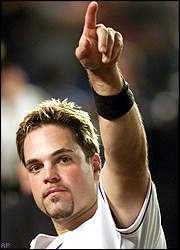 Mike Piazza was drafted in the 62nd round and hit better than any catcher in history. Matt Anderson was drafted first overall in 1997 and washed out as a relief pitcher. If you follow the draft, you will see 1,500 players get selected which, of note, is more than are currently playing in MLB right now. I’m glad ESPN is trying this whole “cover the MLB draft” thing out. I really am. I think it’s going to be a magnificent experiment in terms of fan attention span. But I don’t think it’s going to be good television. Who’s up for a LAN party?